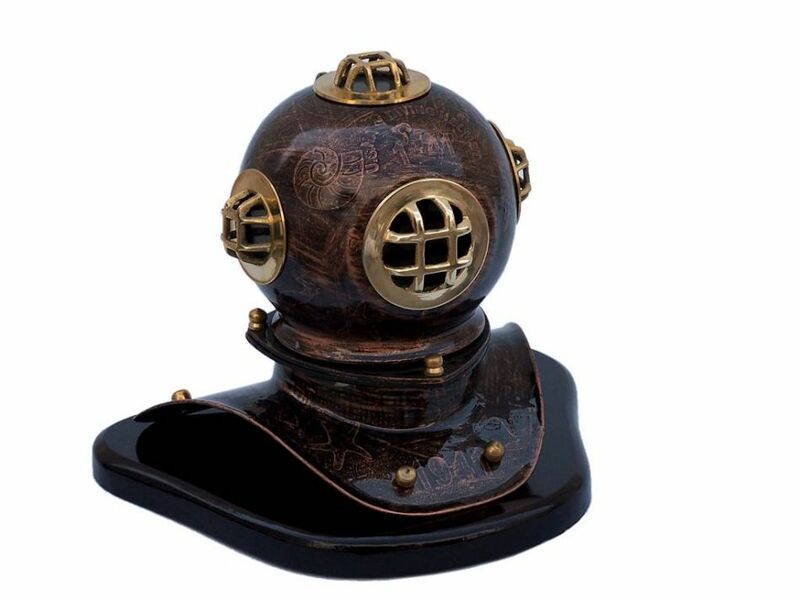 The Antique Copper Seascape Diver's Helmet 11" is great for nautical desktop décor or sits well on a mantle. The diver’s helmet has a beautiful antique copper finish. The diver helmet is an iron miniature of our bigger divers helmet. 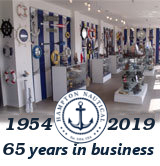 Give the Iron Embossed Diver's Helmet as a nautical gift to a family member, friend, or coworker. Helmet clearly displays "US NAVY DIVING HELMET 1941"